Thanks to David Grieg from Mighty Ape for pointing out an upcoming releases from Mantic Games. 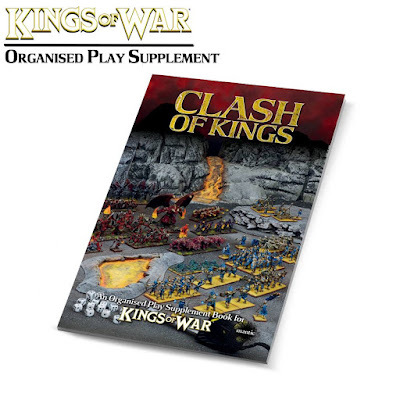 Here is our essential guide to running a Kings of War event. From small, one-day tournaments to epic leagues lasting several months, inside you’ll find everything you need to make your event a success, including Tournament Guide and Tips, League Guide, Rules updates and more! This looks real good! As noted it contains new magic items and spells as well as some new scenarios. It also incorporates the tweaks that the CoK introduced in 2016. The release date is late February and the price Mighty Ape have listed is NZD 17.99.